Skunk2 is proud to introduce its Viton Valve Stem Seals for popular Honda engines. Skunk2’s Viton Valve Stem Seals are designed to provide exceptional lubrication while keeping oil out of the combustion chamber. Only Viton is able to provide precise oil control and maximum durability, even at high rpm. 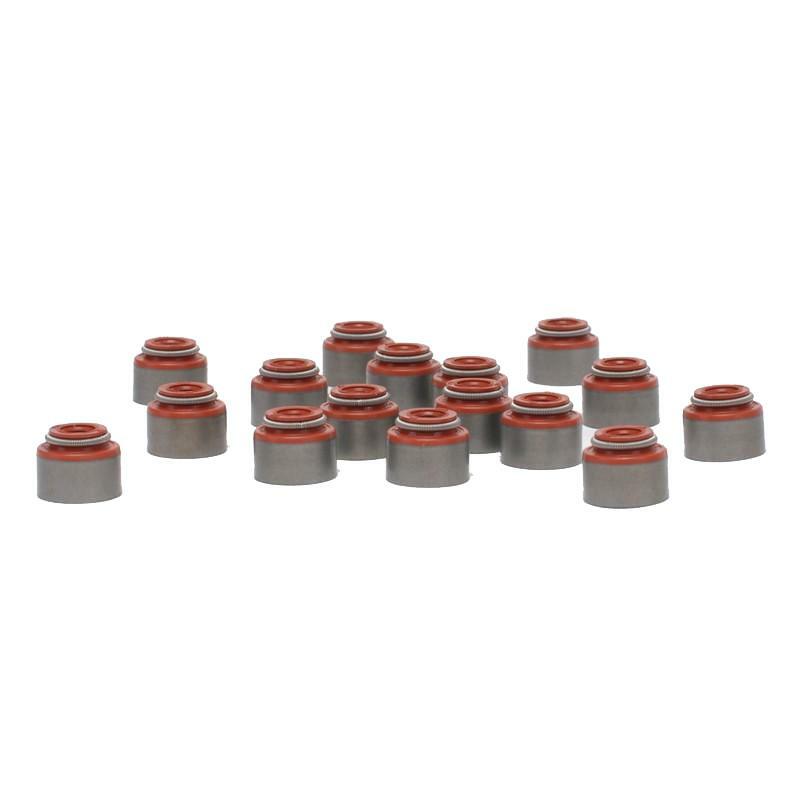 Unlike OEM Honda valve stem seals that use different materials for both intake and exhaust seals, all Skunk2 seals exceed OEM specifications and are manufactured from high-quality Viton. Each seal also features stiffer retaining springs for a precise fit. The results are a seal that’s resistant to extreme heat, oil additives, and abrasion. High-quality valve stem seals are vital to an engine’s performance and longevity. Skunk2’s Viton Valve Stem Seals ensure that each valve stem remains properly lubricated without allowing oil into the combustion chamber. Fits B-series VTEC, H-series VTEC, K-series, D-series, and F-series (S2000) engines.